Goodfellows For milkshakes with a kick, top right, head to W.L. Goodfellows in Galloway. The 32-ounce margarita, left, was a steal at $6, and the crab rangoon, left, was excellent and full of real crab. The goal of this column is always to stretch my $20 as far as it can go. Often that means buying a pricey drink and then carefully balancing that cost with some cheap munchies, or vice versa. But sometimes a deal is so good that you can load up on both ends. Such is the case with the happy hour situation at W.L. Goodfellows and Co. in Galloway. If you haven’t been to Goodfellows, picture a sort of local version of a casual chain restaurant, but with a far bigger and better menu. If you are itching for a fun night out but are low on funds, this is a slam dunk. Happy hour takes place in the bar area only and runs from 4-7 p.m. Mondays through Thursdays with an extended version from 3-8 p.m. on Fridays. I went on a Monday and met up with two old friends who I had not seen in a while, so I had a feeling this might be more than a quick trip to the pub. I was right. Luckily the happy hour pricing saved me and my wallet. There are a variety of cheap drink deals at Goodfellows’ happy hour, including $2 domestic bottles, $2.60 imports and house cocktails, $5 specialty cocktails and martinis and $3 wines by the glass, but I couldn’t resist the best deal on the menu, a pint of Coors Light for the insanely reasonable price of $1.85. That works out to about 15 cents an ounce. In 2019 that is all but unheard of. Sure, it’s only Coors Light, but any way you slice it, the deal is a solid one. I managed to knock back three of them over the course of several hours and was happy to find my drink tab still under the $6 mark. The food options are plentiful with all apps reduced half price. This enabled me to get a bit indulgent and order up both the cheddar and bacon potato skins ($5.50) and their famous hand-breaded mozzarella planks ($5.50). Best part — I didn’t even have to share, because at these prices everybody just got their own apps. Now I’m not going to pretend this was the most amazing food I have eaten, but it was more than worth the cost, and anyone who loves mozzarella sticks owes it to themselves to try the version at Goodfellows. The total: I spent a solid three hours having some laughs and good times at W.L. Goodfellows. I had three beers and two apps and my grand total was a whopping $16.55. I brought $20 and came home with $3.45 in my pocket. The night was a big win. 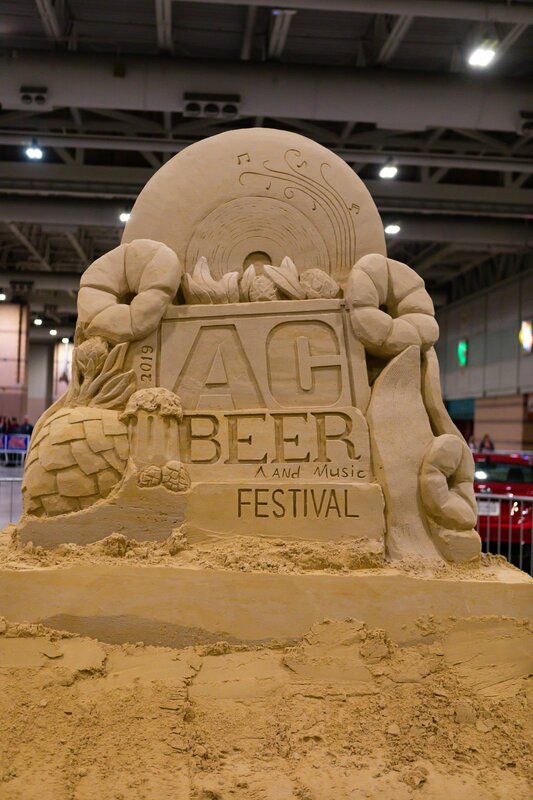 The Atlantic City Beer and Music Festival came to town last weekend and was once again a huge, smashing, sud-soaked success. Hundreds of breweries were on hand serving up samples while crowds enjoyed live music, cool merch and much more.